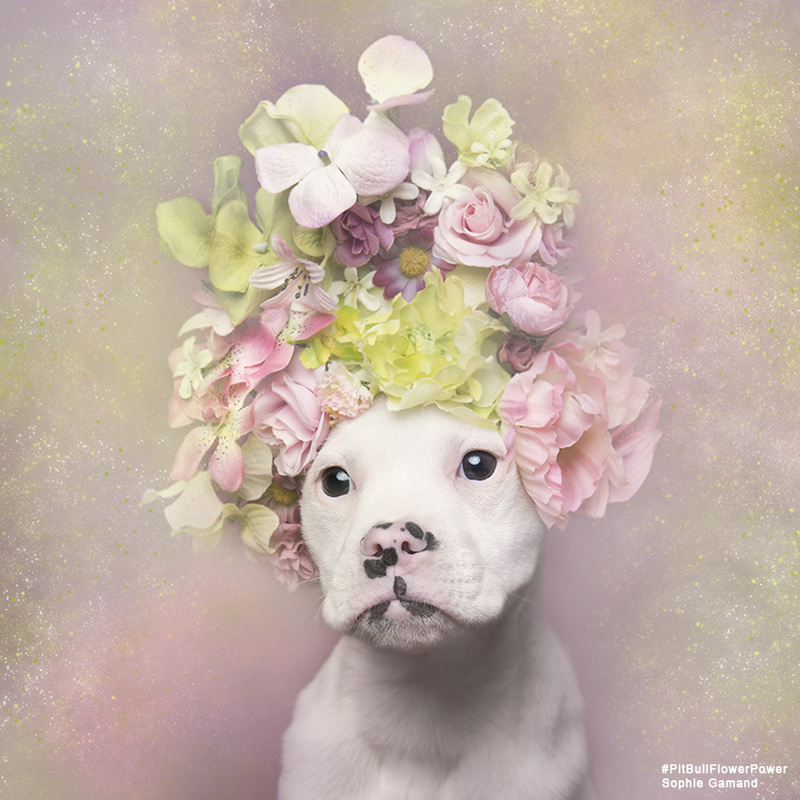 Sophie Gamand, the amazing French photographer whose images of dogs are probably already beautifying your Instagram, has a new series that’s sure to make your heart swell. 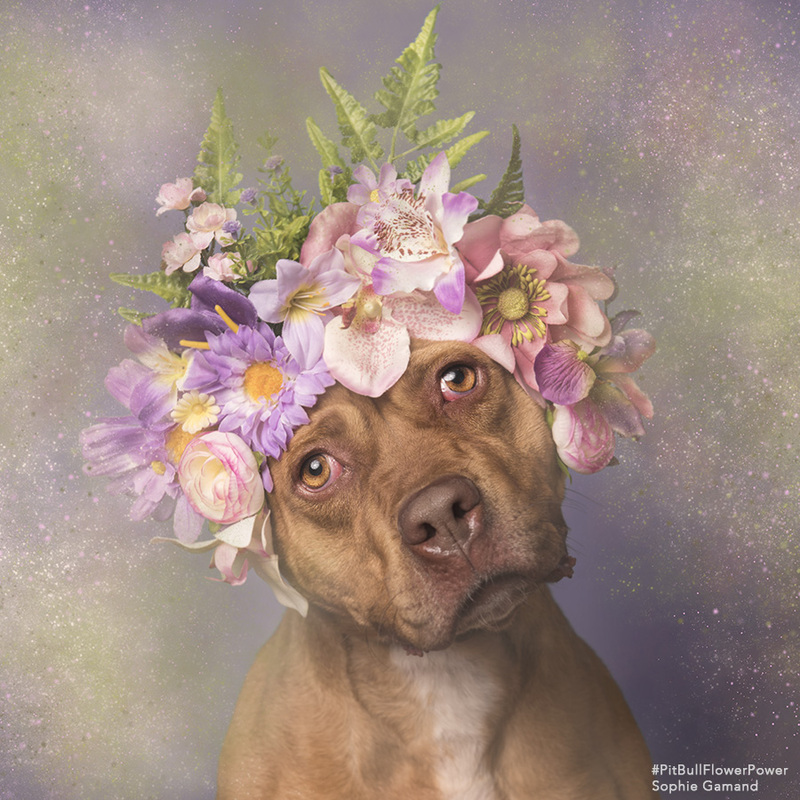 The series, called “Pit Bull Flower Power,” is working to help rescue pit bulls get adopted by showing them in a different, more positive light. Between 800,000 and 1 million pit bull-type dogs are euthanized in the U.S. each year; if that number doesn’t shock you, it should! That’s almost 2,800 dogs killed every day, just because no one will adopt them. Gamand is hoping her work will change those numbers. 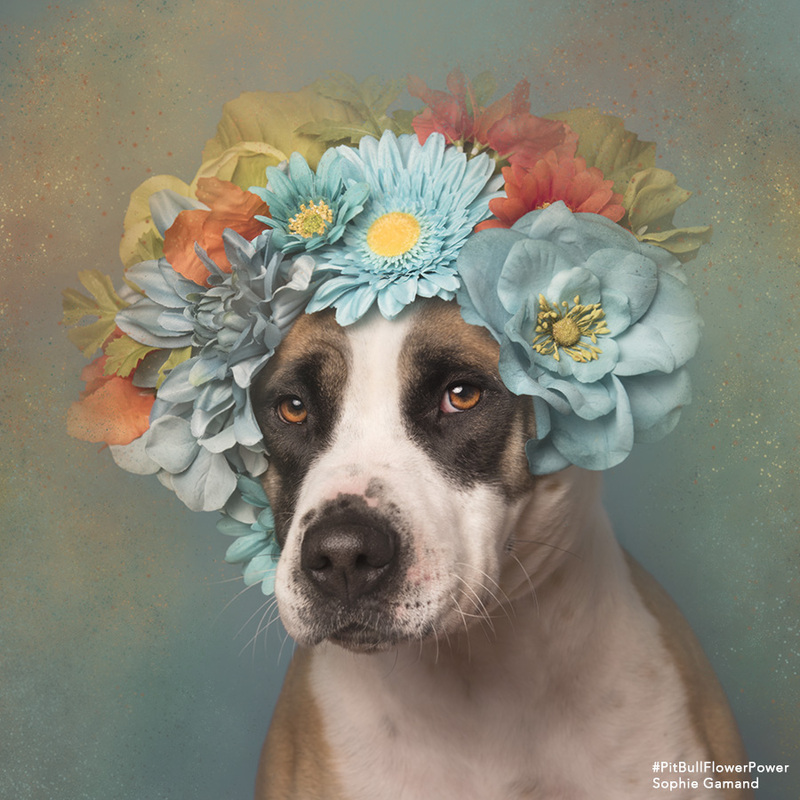 For each photograph, she poses the dog with a gorgeously intricate flower crown, capturing peacefulness and grace. 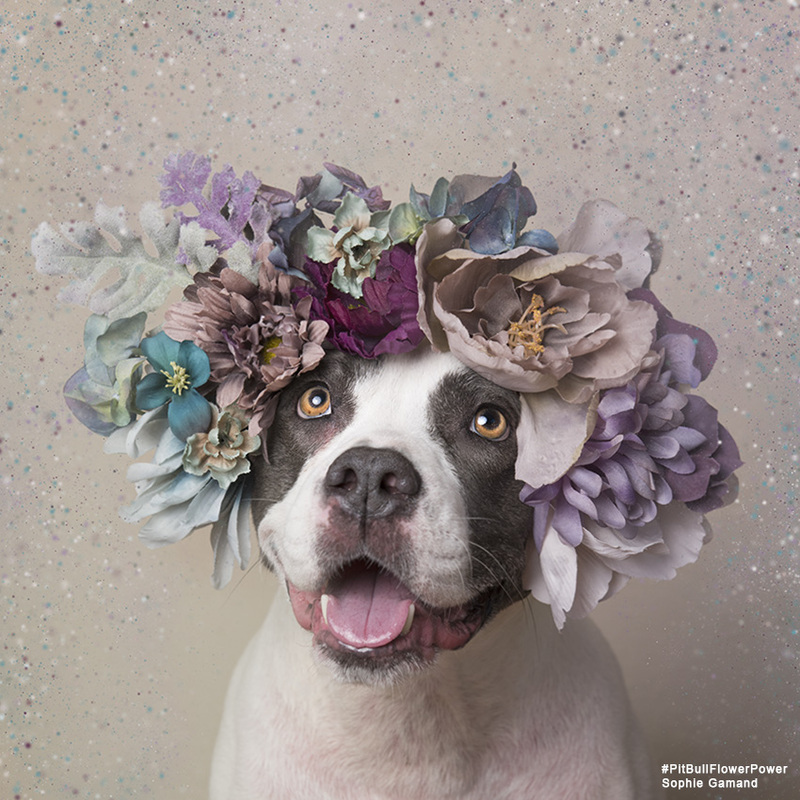 Through her lens, the stereotypes about pit bulls fall away and we see the dogs for what they are — wanting nothing more or less than your love. 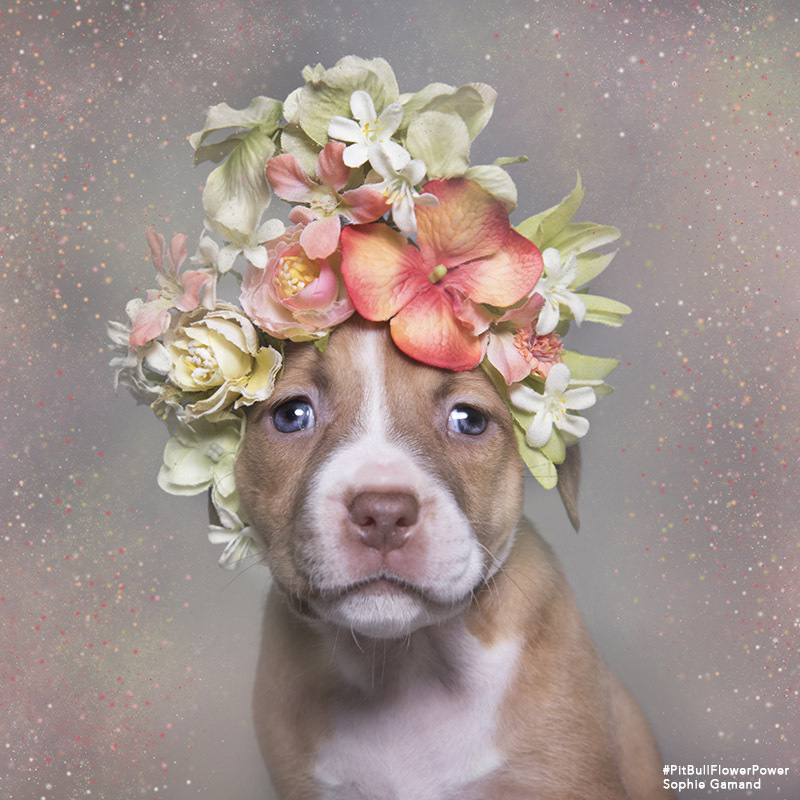 Gamand started the project about a year ago, while she was volunteering as a photographer at an animal shelter and often dealt with pit bulls. She’s definitely succeeding! Since starting the project, she’s photographed about 250 pooches, all of which are from shelters. Plus, she does this work for free. 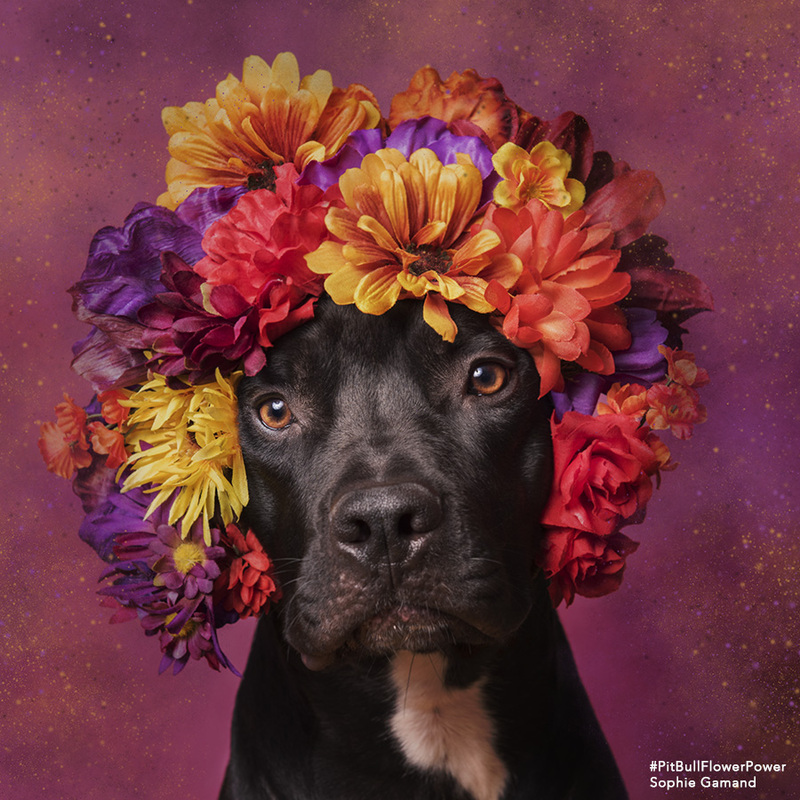 Her photography can truly make a difference for shelter animals, because it creates an incredible, compassionate connection between the animals and potential adopters. 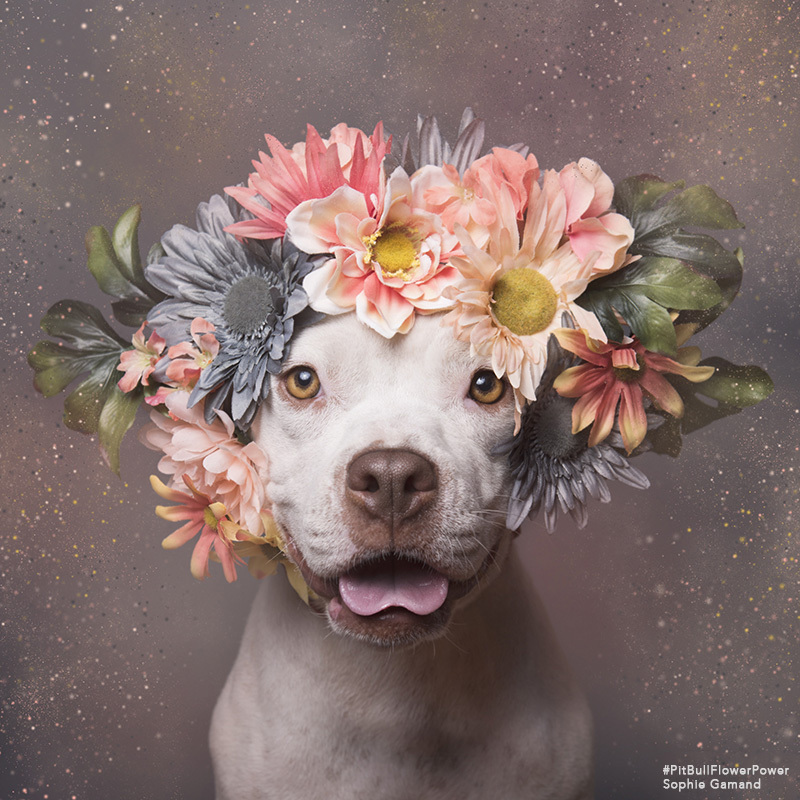 Although it’s super hard to estimate how many dogs have been adopted as a result of her images, she did say that the shelters have seen an increase in their followers, audience and interest in adoption. Gamand keeps tally on her website of which dogs she’s photographed that have been adopted and which are still waiting for homes. Gamand is also realistic about the controversial public opinion of pit bulls, and how strong these dogs are. 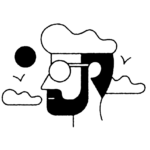 On her site, she tells the story of one dog in particular named Mickey, hashing out why Mickey has come to live a life behind bars. It’s an important, if heartbreaking, read. One thing is for sure: these dogs have changed her life at least as much as she’s changed theirs. From the release of her first book, Wet Dog, to gallery shows in Paris, and even awards for her work in animal advocacy, Gamand’s photographs have been warmly received and widely acclaimed. Follow Sophie Gamand on Instagram! 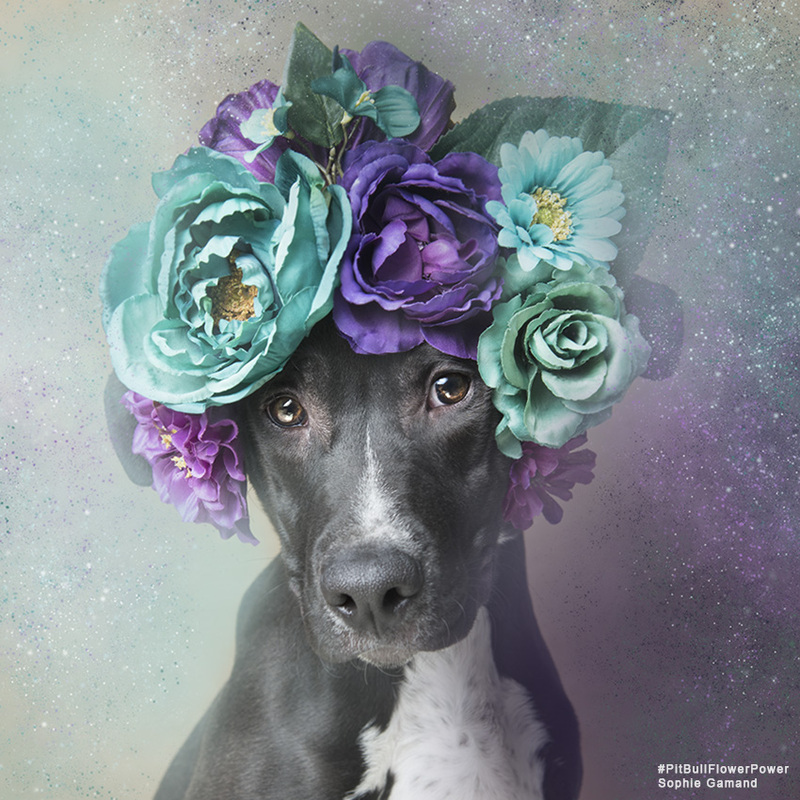 Also, check out other ways you can support her work and rescue efforts, through this calendar and these prints. 100 percent of the proceeds go to Mr. Bones & Co., the rescue group that saved her most recent foster dog, Tucker.